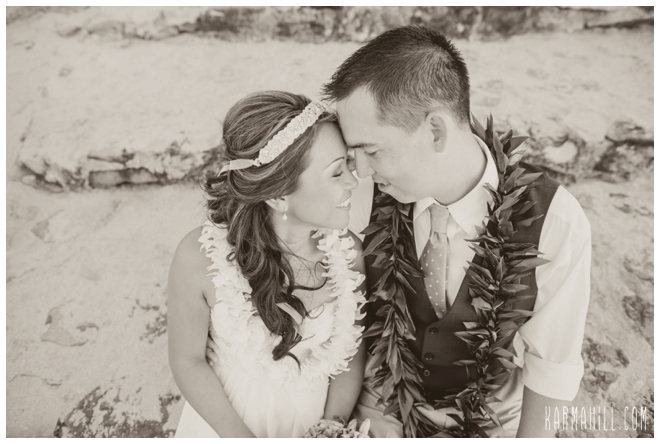 Maricar & Mike were married last week on the lawn at Merriman's overlooking the gorgeous Hawaiian waters. 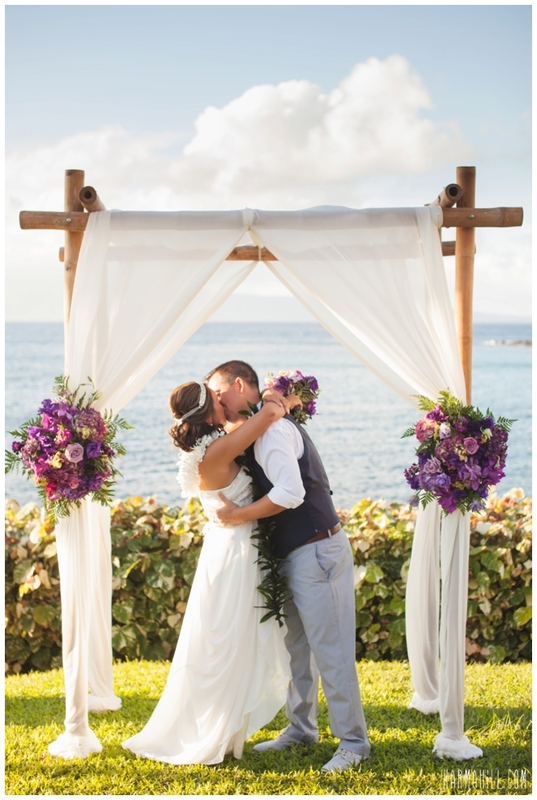 Staff photographer Ajja began with getting ready coverage of Maricar at The Montage at Kapalua Bay. 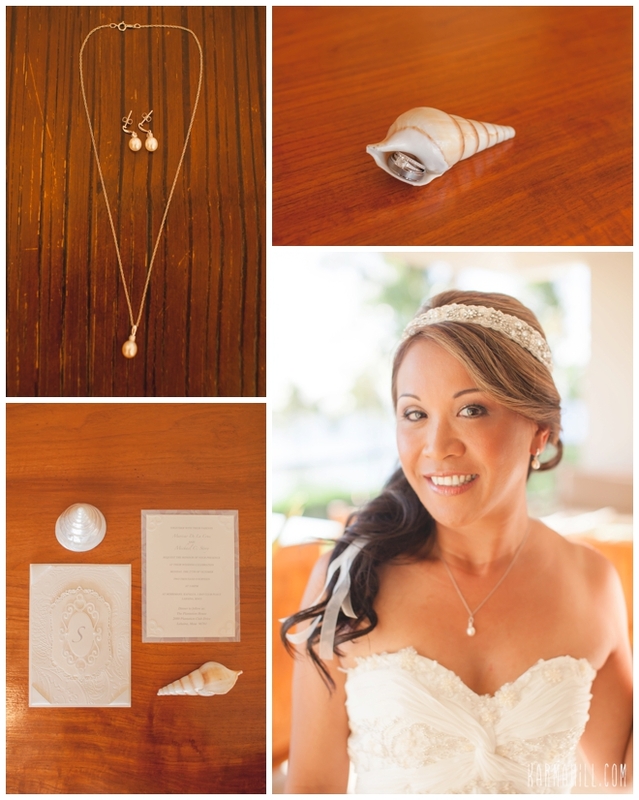 Maricar looked stunning in her wedding dress with her hair & makeup done by Liz from Maui Makeup Artistry. 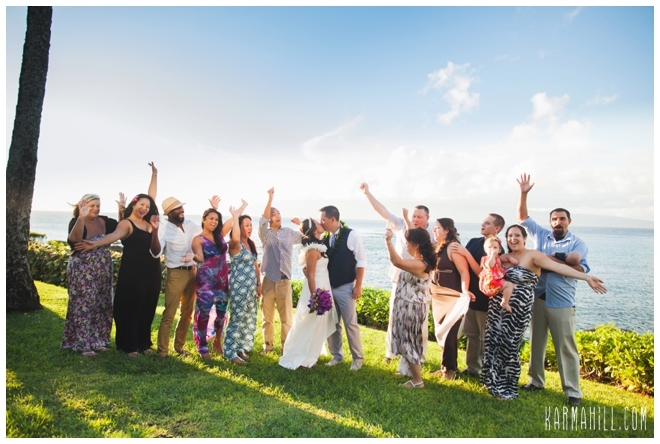 As she travelled to Merriman's for their ceremony the excitement kicked in. 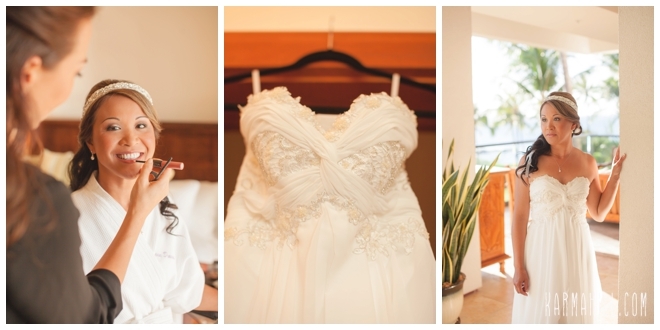 Her patient groom was awaiting her arrival. 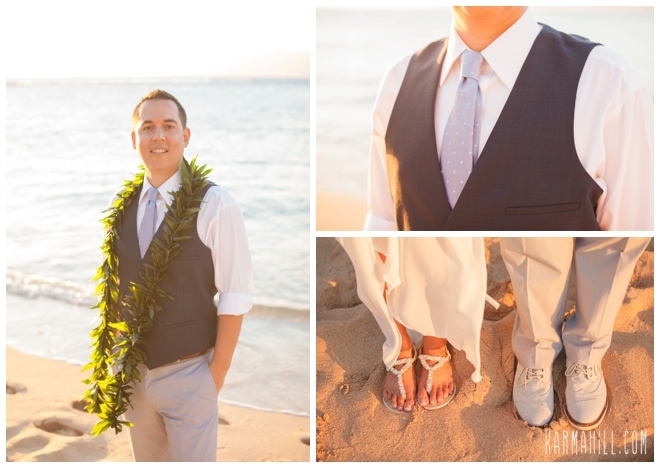 He was looking quite handsome himself with his grey vest and pants. 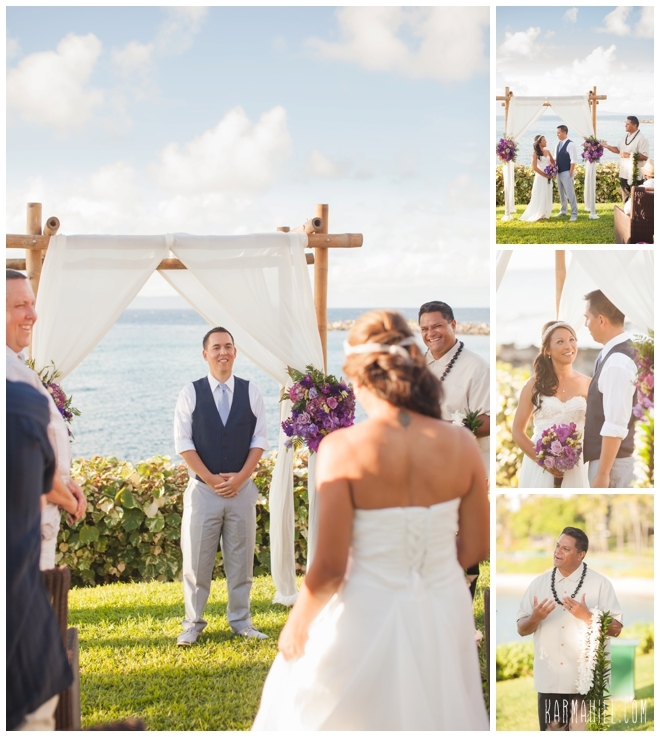 Reverend Valentine Rosete officiated their ceremony and then pronounced them husband & wife! 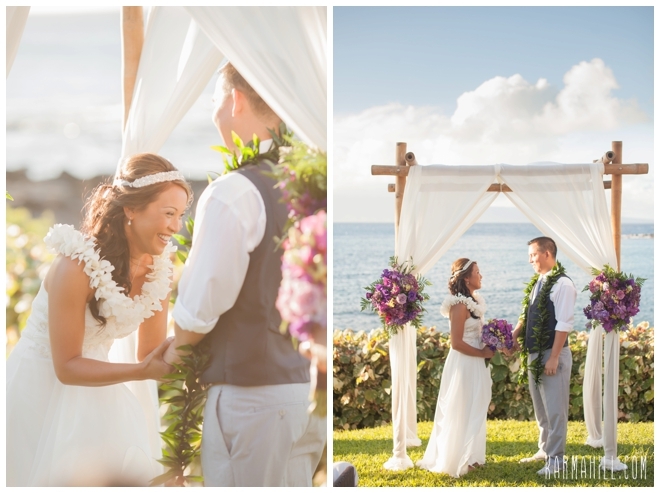 Ajja later took the couple down to Kapalua Bay where they shared a few more kisses and a walk along the beach. 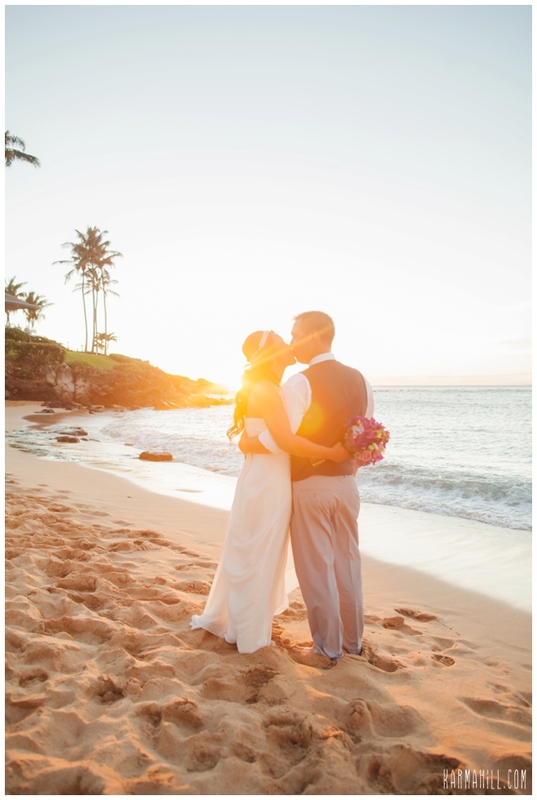 It was a perfect day and we were honored to be a part of it. 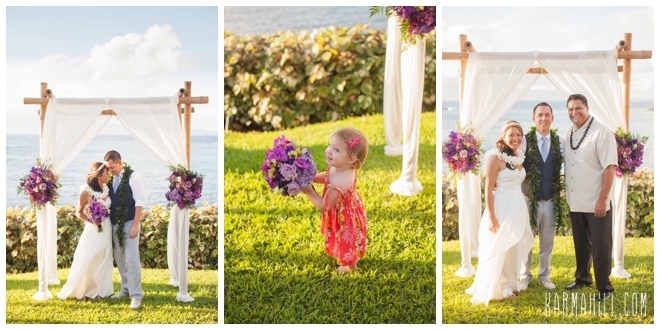 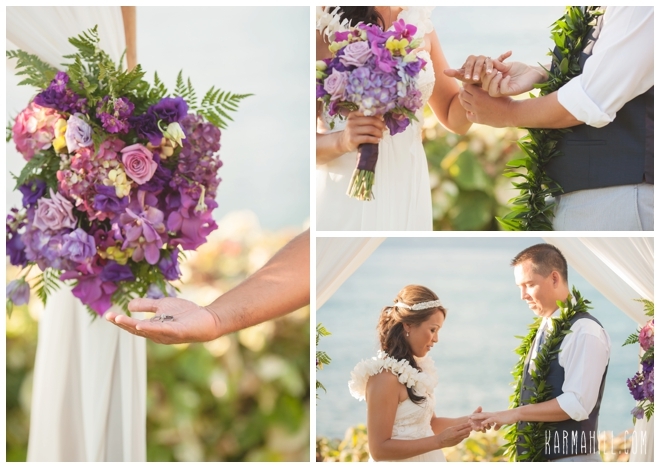 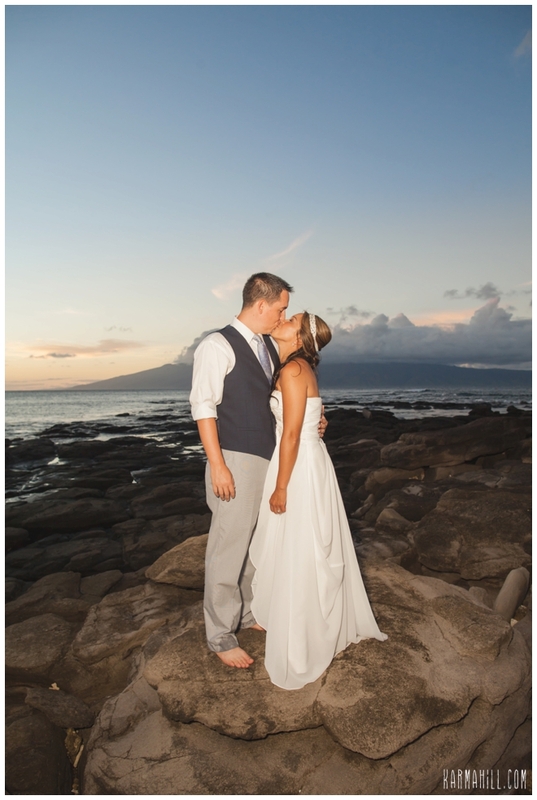 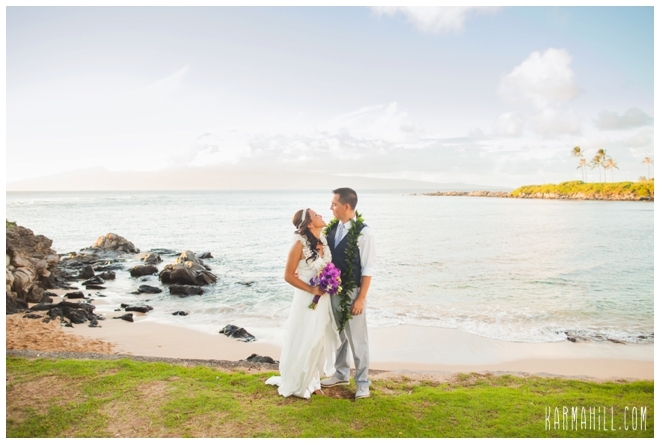 Thank you so much Maricar & Mike for choosing Simple Maui Wedding! 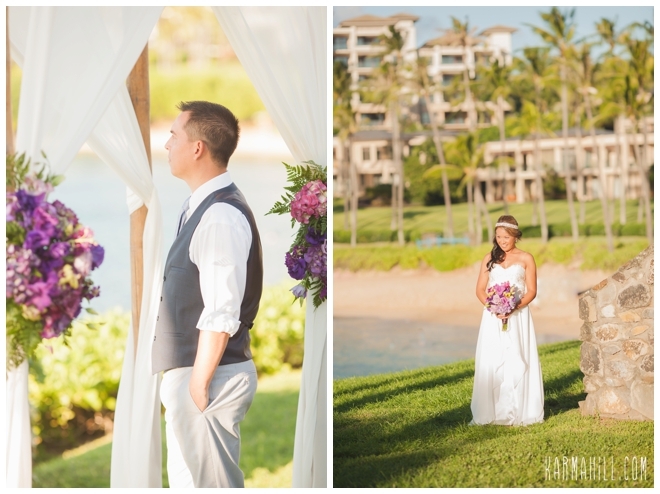 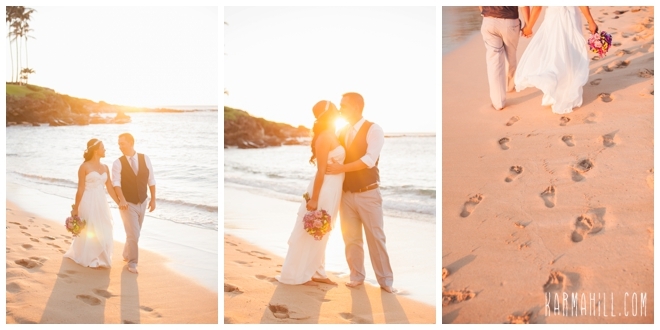 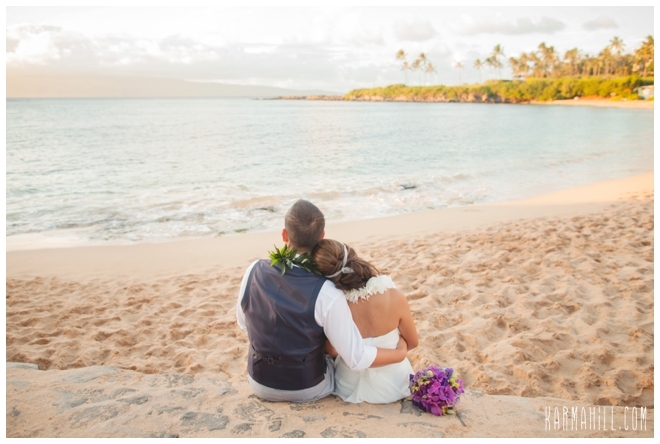 Check out our last Maui wedding with Jessica & Robert!